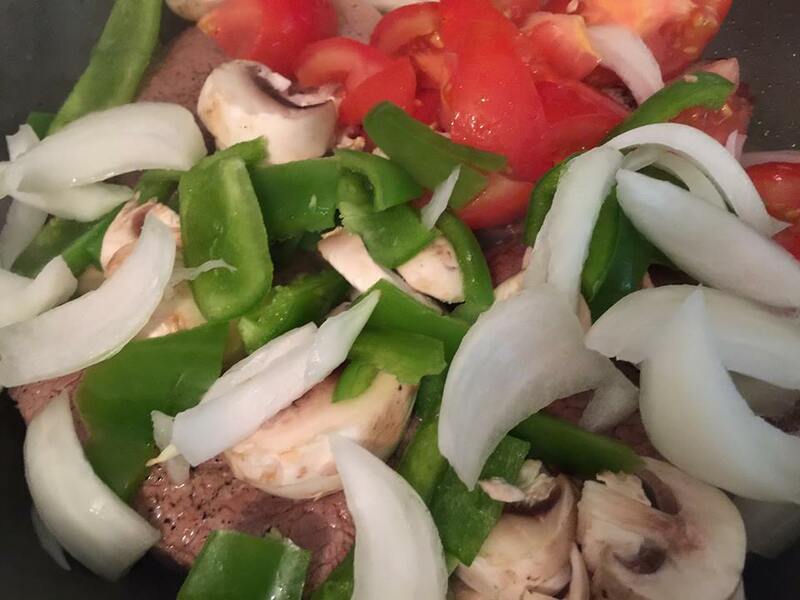 Cut round steak into portion sized pieces. Saute in olive oil, until browned on both sides. Add in the tomatoes, onions, peppers and mushrooms. Cook until the vegetables are tender -- 5- 10 minutes. 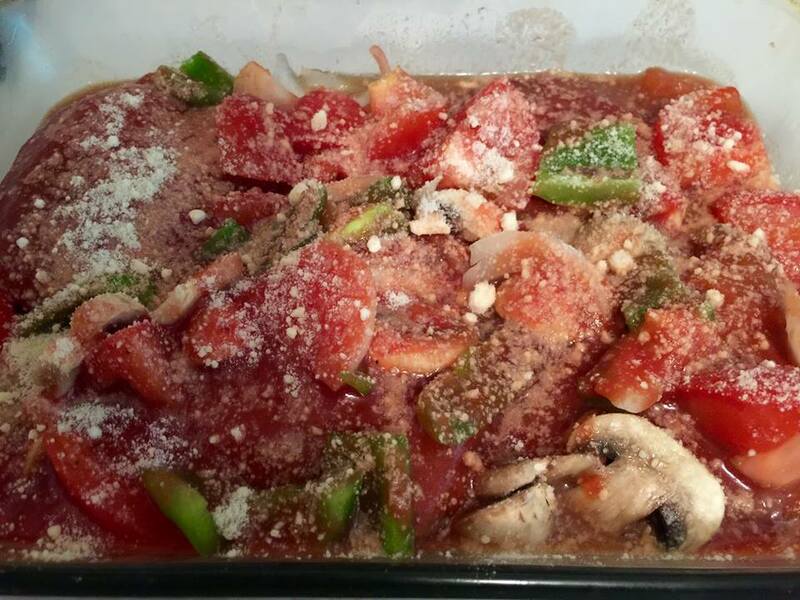 Turn meat and vegetable mixture into a prepared 9x13 casserole dish. In a bowl combine the apple juice, salt and pepper with the tomato sauce. Mix well and pour over top of the meat and vegetable mixture. Bake covered at 350F for 45 minutes.